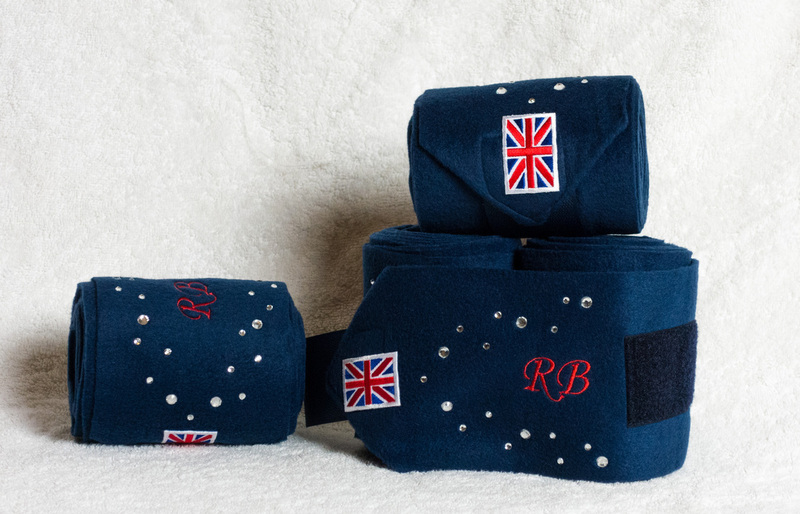 Fleece bandages for your equine needs are available for exercise or stable/travel (slightly longer to fit over pads) and can be bespoked to your own design with embroidery and diamantes. Take a look through our gallery of images below, follow us on Instagram or browse our Facebook photos for inspiration. As with all of our products, if you can't see what you're looking for please contact us. We can sometimes source particular colours or patterns that we don't already have in stock. Washing instructions - keep your Bespoke Bandages extra zazzy! 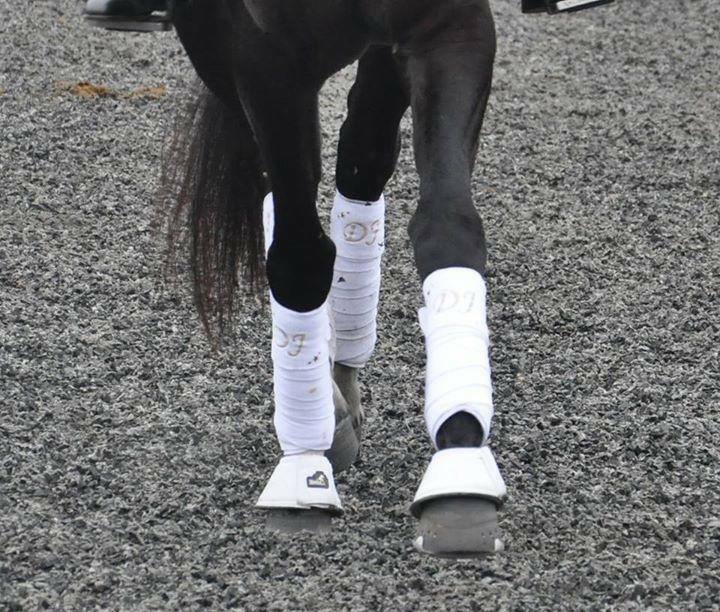 Roll bandages back up and wear them again and again!!! 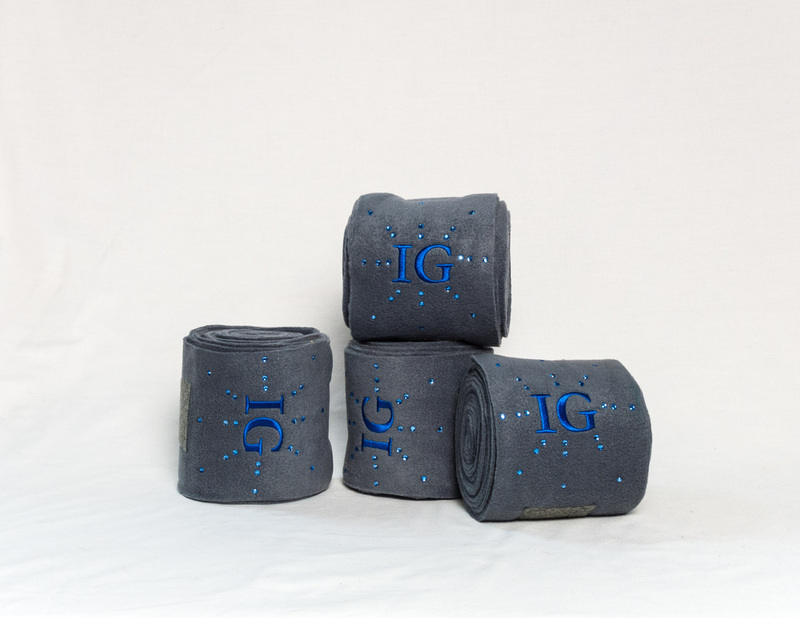 Due to the nature of the fabrics and sparkles it's preferable to HAND wash Bedazzled Bandages, line dry and do not expose the diamantes to high temperatures or abrasive surfaces! There are two ways you can have the embroidery on your bespoke bandages - be sure to specify when ordering which orientation you'd prefer.